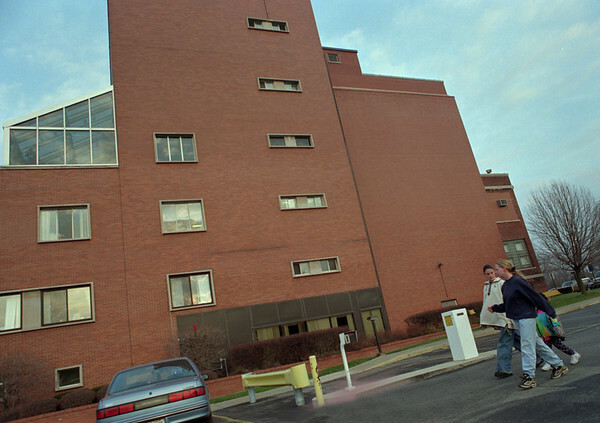 98/12/03 lkpt hospital--dan cappellazzo photo--(tor) katie yates (white) and alice everts walk 7-yr-old cierra McGriff,all of sanborn, into the Lkpt hospital where layoff are expected. Everts said "I come to this hospital, I think it's terrible. people will not get the care they need at an understaffed hospital.